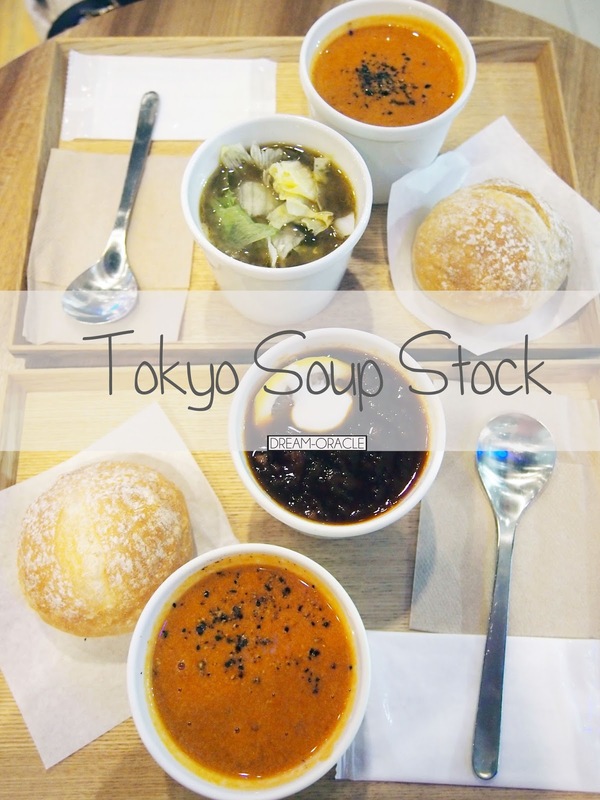 I've long wanted to try Tokyo Soup Stock because who doesn't love soup!? The simplistic clean cut image appealed to the minimalist in me and I headed down to try out the soup with another soup fanatic friend. The presentation of the food is all clean lines and simple that creams classic Japanese. Definitely a good place to chill and enjoy good soup. If you're not a fan of creamy soups, and you loveeee vegetables. then this soup is for you. It's a light soup, not creamy at all, and it's chocked full of vegetables to satisfy your cravings for all things veggie. Thick, rich, crab stock is simmered with tomatoes and herbs for a luxurious soup. Milk adds a creamy touch. This soup has crab, tomato, onion, celery, carrot, milk. If milk is not your thing, you might want to skip this. Though I must say I love this bisque, it was very fragrant, none of that watered down crap they serve at some places. 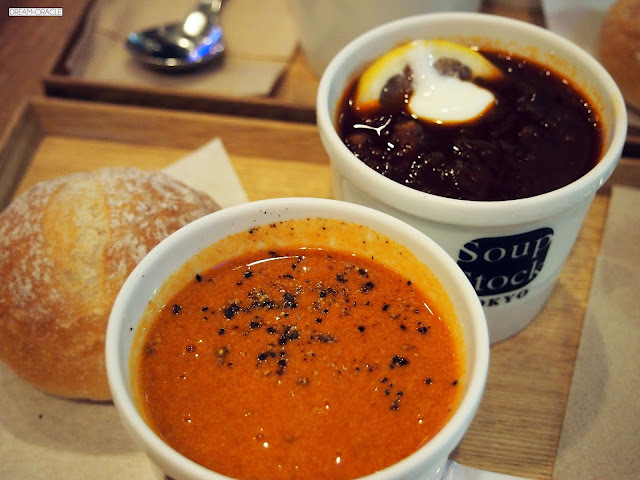 This is pure comfort food, and if you paired it with the bread that's specially made for the cafe, be prepared to get transported to Soup Land. 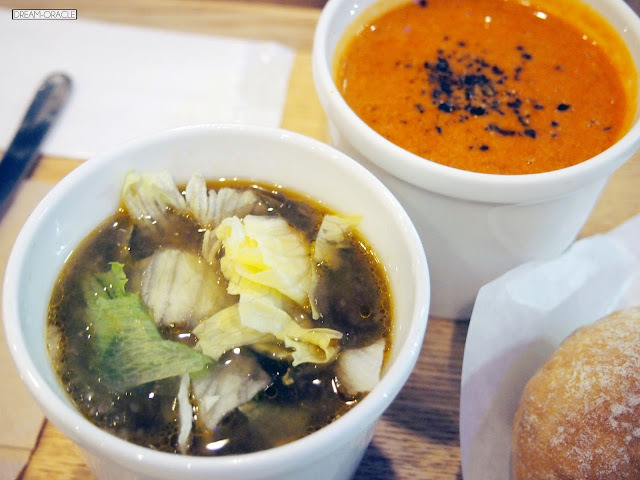 The bread is rather chewy, so it takes some effort to tear off pieces by hand, but after you dip it into the soup, it softens just enough for you to still enjoy a nice bite. No soggy bread syndrome! Brimming with the goodness of caramelized onions and beef, this deep brown soup is thickened the old-fashioned way. The addition of lemon and yogurt end this soup on a bright, clean note. This soup has beef, onion, potato, carrot, lemon, yogurt. I was skeptical about the dollop of yogurt but it turned out well. However this does have beef, so if you don't eat beef, skip this. I love how hearty this stew is, perfect for a one dish meal on a rainy day at home. Why: Because good food wins hearts.